Many people think we have to do it all and be great at everything. Somehow is part of our independence spirit. Nowadays we live in a world and culture where you can actually afford not to do it all, and yet for some reason we think we should. It is time to strengthen your strengths now, by doing what you are good at, mastering that and just delegate the rest. Furthermore, people who really mastered something tend to easily attract the good life, example Warren Buffet, Tiger Woods, and Barbra Streisand. Doing a lot a things well is not as nearly as valuable as doing one thing extremely well. Mastery is an art and science because even if you have a natural talent or gift, it takes time, practice and dedication to make that talent flourish. If you are still having a hard time in letting go of all the things you could do on a daily basis, just think of it in terms of how much extra energy something cost you. How much does it cost you in terms of your well being(stress free) and happiness(peace of mind). Have you heard the phrase “ work smart not hard”? I bet you have and wonder how you can become more effective and efficient in your life. The 80/20 rule simple states that 80 percent of your results comes from 20 percent of your efforts. By strengthen your strengths and focusing on that 20 percent ratio your mastery increases and you could eliminate 80 percent of the remaining 80 percent of what you currently do. 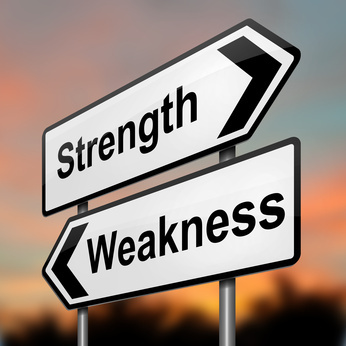 It is important that you identify your special talents or gifts and be ready to leverage these strengths and learn how to effectively delegate your weakness. I had a client that was great at designing websites with the proper codes and search engine optimization, and spent hours during the week doing this wonderful work. It was clear that he had a talent for this kind of work and was busy with his own clients but in one of our sessions, he disclose his desire to fix his roof on his house, as he claimed that he learned how to do it by watching videos on YouTube. He owned his house and felt that he can save some money by doing it himself rather than take my suggestion of getting some bids and delegating the work. Well, a week after, he called me that on his second day of working on the roof, he fell of the latter, and suffered some nasty injuries that have sideline him in bed for a while. Unfortunately, he did not have proper medical insurance, so now not only he has to get someone to do the roof, but also has thousands to pay in doctors and treatment bills. The point of the above sample is simple, any time you are doing something, you may not be good at or you think you have do rather than delegating the work, you are sapping your energy away. Look at your life and write now three to five things you have been doing that you would rather not do, and perhaps delegate to someone. What you you see as my special talent or gift? What do I do naturally and effortlessly that is unique? If I were on the cover of a magazine, what magazine would it be and what would the story be about? When am I most fully expressing this talent or gift? Once you gather this information, just reflect and honor your gifts, by doing it, sharing with others and live it. By strengthen your strengths and delegating your weakness, you will be able to work smart not hard, the way I see it, life does not have to be a struggle.